Notre Dame historian Thomas F.X. 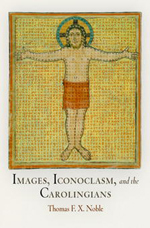 Noble has won the 2011 Otto Gründler Book Prize for his work Images, Iconoclasm, and the Carolingians (University of Pennsylvania Press, 2009). “Thomas Noble’s achievement in this magisterial book is to set the particular issues of iconoclasm, East and West, in a big historical framework that makes sense,” notes the prize committee. A professor and chair in the College of Arts and Letters’ Department of History and the former director of the Medieval Institute, Noble says Images, Iconoclasm, and the Carolingians focuses on the controversies surrounding religious art from approximately A.D. 300 to A.D. 900. Noble says the book examines a time when the Christian church was just learning how to talk about the visual arts—while devotees were also grappling with how to discuss God and essential doctrines such as the Trinity, sin, and redemption. This trend, Noble says, continues into modern day, as many discussions about art have nothing to do with aesthetics, quality, or the method of production. More frequently, politics, values, and religion fuel such conversations. “When you find a society arguing about art, listen carefully. They’re not going to be talking about art—they’re going to be talking about lots of other things,” he says. Noble’s accomplishment also marks the first time the Gründler prize has been awarded twice to faculty from one university—let alone a single department in back-to-back years. His colleague John Van Engen, the Andrew V. Tackes Professor of History, won the 2010 Gründler Book Prize for Sisters and Brothers of the Common Life: The Devotio Moderna and the World of the Later Middle Ages (University of Pennsylvania Press, 2008). “We’re on a roll,” says Noble, who accepted the Gründler prize on May 13, 2011, at the 46th annual International Congress on Medieval Studies. 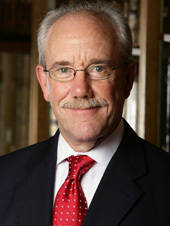 Currently vice president of the American Catholic Historical Association, Noble will become the organization’s president in 2012. He was also recently awarded his third National Endowment for the Humanities fellowship and named winner of the 2011 Sheedy Excellence in Teaching Award—the highest teaching honor in Notre Dame’s College of Arts and Letters. In addition to his work on religious art and the Carolingians, Noble specializes in the early medieval era, late antiquity, the papacy, and the city of Rome. His books include Charlemagne and Louis the Pious: Lives by Einhard, Notker, Ermoldus, Thegan, and the Astronomer (Penn State Press), and From Roman Provinces to Medieval Kingdoms (Taylor and Francis Group). His next book project, Rome in the Medieval Imagination, will explore how writers from Constantine to Petrarch talked about Rome. Originally published by Joanna Basile at al.nd.edu on May 24, 2011.